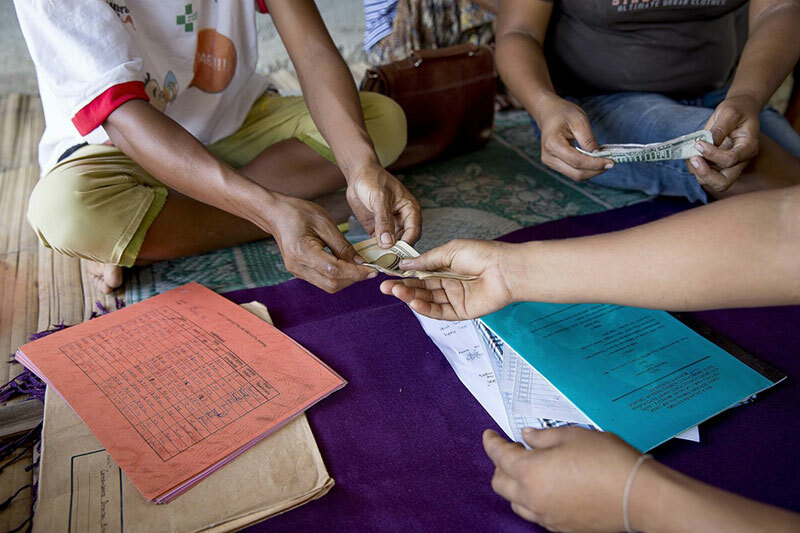 In the Solomon Islands, the majority of women do not have access to formal banking services. With no access to a bank and no safe place to store their precious savings, women are at increased threat of violence or theft. That’s where the West ‘Are’Are Rokotanikeni Association (WARA) comes in. We’re proud to partner with this women-led savings club which brings women together to save safely, manage their own finances and learn to budget for household items. The majority of people in Solomon Islands don’t own a bank account. Gender inequality extends to bank account ownership – 20% of women have bank accounts compared to 32% of men. Twice as many men than women make the financial decisions for their families. Despite having less access to bank accounts and reduced power to make financial decisions, the majority of women in Solomon Islands say they are saving. Women’s main reasons for saving are to meet their families’ basic needs, pay for school fees and prepare for emergencies. Savings clubs provide a safe space for women to develop their leadership skills, financial literacy and confidence. How do the savings clubs work? The WARA women’s savings club model was the first to be implemented in Solomon Islands. It provides women with a safe and secure place to store their money. The clubs are simple, transparent and independent. Income from the general fund is pooled to support community-wide initiatives and provide loans to members. Community projects include community halls and solar projects. The savings clubs also provide a safe space for women to develop their leadership skills, financial literacy and confidence. Over the 10-year life of the savings club, members have taken out more than 1000 loans and saved almost two million Solomon Islands Dollars (AUD $350,000). Find out how you can help more women take control of their money with the help of a savings club.